More than 3,500 refining and petrochemicals industry professionals from 30+ countries will converge in Bahrain from September 26 to 29 for the 10th Middle East Refining & Petrochemicals Conference and Exhibition (Middle East Petrotech 2016). Held under the patronage of Bahrain’s Prime Minister His Royal Highness Prince Khalifa bin Salman Al Khalifa, Middle East Petrotech 2016 is the largest gathering of the downstream oil and gas industry in the Middle East. The bi-annual event, established 20 years ago, incorporates a 4-day high level conference organised by a committee of NOCs, IOCs and major service providers spearheaded by Kuwait Petroleum Corporation and Saudi Aramco, and a parallel 3-day exhibition organised by All world Exhibition’s member Arabian Exhibition Management. 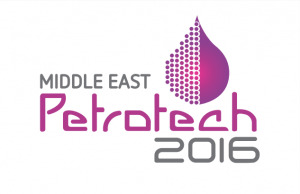 The Middle East Petrotech 2016 conference takes place under the theme ‘Teaming Up for Excellence: Industry, Government and Education.’ In challenging times for the energy sector in light of low oil prices, the Middle East Petrotech 2016 Chairman and President and CEO of Kuwait Petroleum International Bakheet Al-Rashidi says the event is a bright spot for the region and the industry alike, and an important opportunity to convene as it looks to the future. “The conference theme ‘Teaming Up for Excellence: Industry, Government and Education’ is focused on the symbiosis between downstream oil professionals, government officials and those active in the education and training fields. Synergy between these sectors will lead to the advancement of the downstream industries through the maximisation and exploitation of resources, implementation of best practices and benchmarking utilisation,” Al Rashidi said. “Understanding the latest developments and trends in the global economy and future shifts in market dynamics is of vital importance. Top management and economists will discuss possible ways forward in an uncertain world at Middle East Petrotech 2016,” he continued. Optimising the best return on assets will also be a focus of the conference, through energy conservation, new tools for the successful completion of projects, operational excellence and encouraging a culture of reliability and efficient turnaround maintenance. Health, Safety and Environment will be showcased in a bid to encourage the creation of a culture of plant safety and environmental practices to help ensure a safer and healthier future for future generations. The conference has secured an impressive line up of speakers, beginning with a pre-conference forum and the conference opening ceremony on 26 September at the Ritz Carlton, Bahrain Hotel & Spa. and Former President, Reliance Industries; Nizar Al-Adsani, CEO, Kuwait Petroleum Corporation; Emilio Lozoya Austin, Former CEO, Petróleos Mexicanos (Pemex) and Former Advisor to the President of Mexico; H.E. Eng. Tarek El-Molla, Egyptian Minister of Petroleum & Mineral Resources; and Lord David Howell of Guildford, Former UK Minister of Energy and writer on energy issues. The conference opening ceremony will begin with welcome address from Bahrain’s Minister of Oil, H.E. Shaikh Mohammed bin Khalifa bin Ahmed Al Khalifa and the Middle East Petrotech 2016 Chairman Bakheet Al-Rashidi. An executive plenary session will follow under theme ‘The Economic Downturn and Its Effect on the Oil Downstream Industry’ with addresses from Amin H. Nasser, President and CEO, Saudi Aramco; and H.R.H. Prince Faisal Bin Turki, Advisor, Saudi Arabia Ministry of Petroleum & Mineral Resources. For 3 days at the Bahrain International Exhibition and Convention Centre, the conference will feature 63 technical sessions with insights on case studies, best practices and industry advancements across 9 distinct tracks: operational excellence, plant reliability & integrity, project challenges, energy management, HSE & risk management, smart plant & technology, market intelligence, catalyst management and people development. Daily keynote sessions led by presidents and CEOs further examining the roles of government, education and industry will also take place. New for 2016, a series of ‘Meet the Experts’ sessions will provide delegates with the opportunity to meet, consult and learn from recognised authorities on 10 key topics. They include: hydrotreating process, instrumentations and analysers, fired heaters, reforming process, process safety, corrosion, hydrocrackers, rotating equipment, steam traps and FCC. The packed agenda at Middle East Petrotech 2016 also includes 2 short courses, 2 workshops and the opportunity to sit a Certified Maintenance Reliability Professional (CMRP) Exam prior the conference on 25 September.